What Exactly is a High School Ethics Bowl? A High School Ethics Bowl is an ethics case study competition, based on the College Ethics Bowl movement and adapted to the high school level. Representing their schools, teams of three to five students research, analyze and prepare responses to a selected number of case studies given in advance of the competition. The case studies cover a range of topics, some relating to the lives of high school students and others focusing on more professional dilemmas in fields ranging from medicine and media to business and sport. At the competition, teams are given a case study, chosen by three judges. Teams then present their most insightful, logical arguments and the most relevant differing viewpoints about the ethical dimensions of the case study. Following their presentations, teams field questions from both judges and their opponents. While it all seems very sagacious and Socratic in method, with judges and team members asking and answering questions to incite critical thought and new ideas, there are occasions when teams do not present their most insightful and logical arguments. Alternatively, teams may underdevelop or be careless in stating their ideas. Let's face it. It happens. Remember that the object of the competition, however, is to win the highest number of points from the three judges, who no doubt, will be considering the reasonableness of the various arguments and whether teams really have taken the time to examine the moral ideas embedded in the case studies thoroughly. How is a High School Ethics Bowl Unique? What makes the ethics bowl different is that the values built into its design demand consensus and a willingness to recognize and consider differing viewpoints. That is, the competition prizes an ability to think about other sides of issues. The ethics bowl is not a debate, a slam or a smackdown. It is a spirited, civil and reasoned through discussion between judges and teams about a few really big, challenging questions that are worthy of careful thought and equally worthy of caring about. That said, like other competitions, the ethics bowl respects best performances and thought from all who participate--from teams and their advisors to judges and organizers. Everyone is striving for excellence in the ethics bowl. Why Introduce a High School Ethics Bowl in Michigan? High School Ethics Bowls are turning up in many states. According to the National High School Ethics Bowl founders, there are now more than 12 states with schools adding ethics bowl teams to their extracurricular programs. In Michigan, A2Ethics just couldn't let other states offer their students a one-of-a-kind opportunity to compete to learn about and quote Aristotle, Immanuel Kant, John Stuart Mill, Elizabeth Anscombe and Peter Singer. Besides that, in our own state many eminent scholars in the ethicsphere live in our midst. Shouldn't our students be learning how to study and quote them too? Consider these Michigan-based philosophers: Peter Railton, Allan Gibbard, Elizabeth Anderson, Leonard Fleck and Hilde Lindemann. So, A2Ethics decided that Michigan should become ethics bowlers too. From where we stand, a Michigan ethics bowl offers high school students a valuable and unique opportunity to join a different kind of network--a community of big thinkers--passionate about ideas and arguments responding to the question: how are we to live? Because this is the inaugural high school bowl in Michigan, we decided to start small and to stay in our local area. Therefore the first bowl is open to students attending schools in Washtenaw County. The first ever Michigan High School Ethics Bowl is Sunday, February 9, 2014 at The Neutral Zone Teen Center in Ann Arbor from 2-6pm. To participate, schools register a team with a minimum of three and a maximum of five students. Two alternates per team are also welcome. The National Bowl founders and those in the know because they have already built outstanding teams, recommend that teams include a sponsor or an official coach, usually a philosophically-minded and supportive teacher at the school. Typically, the official coach, a natural seeker and finder, is able to interest up and coming ethics scholars at nearby universities and community colleges to serve as assistant coaches. In fact, several University of Michigan philosophy department graduate students, are ready to act in just that capacity. All of these volunteers have an interest in bringing philosophy into our schools. Together the team and coaches meet to research, analyze and discuss a series of ethics case studies that will be presented at the competition. These studies are distributed about two months in advance to participating teams in an official packet that also describes the particulars of the bowl, including its format and rules. You can enter a school for the Michigan High School Ethics Bowl now. To cover costs of organizing the bowl, we ask that you pay a $25.00 per team registration fee as part of your registration. What Does a Ethics Case Study Include? To provide a clear understanding of an ethics case study, we have provided a sample excerpted and edited version taken from the National High School Ethics Bowl case study archive. The case was one among the 15 offered in the Regional Qualifying Bowl leading to the first National High School Ethics Bowl held at the University of North Carolina at Chapel Hill in April 2013. Should Polar Bears Be Kept in Zoos? The declining population of polar bears within their natural habit has sparked debate about the effectiveness and morality of zoos, as well as their ability to preserve populations. Currently, there are between 20,000 and 25,000 polar bears left on earth, and scientists are predicitng their extinction within 70 years. Some zoos are proposing to save the polar bear by increasing polar bear exhibits. Those who support increasing polar bear exhibits recognize it is not an ideal solution because polar bears' natural lifestyle includes roaming for thousands of miles--a routine that cannot take place within the confines of a zoo. However, they feel it will ensure the preservation of the bear. Is increasing the number of polar bear exhibits in zoos an ethical way to attempt to save them? Would this strategy be ethical if used to save a physically smaller species? For some additional case studies that can be used by teams to practice, you can go to the National High School Ethics Bowl case study archive or to the Intercollegiate Ethics Bowl archive. Who are the Judges in the First Michigan High School Ethics Bowl? The judges in the inaugural Michigan High School Ethics Bowl are accomplished ethics bowlers themselves. The University of Michigan Ethics Bowl team, a group of enthused and talented undergraduates, has volunteered to serve as our first panel of judges. After winning their regionals in their first taste of competition in 2012, this team is ready to introduce Michigan high school students to how they can learn to argue well, and perhaps, take home a prize in the process. Yes, there are prizes. But only one team will get one a tangible take-home award. The winning team gets the goods. What are they? Pretty paltry by prize standards. At least one is unique. The winner of the competition takes the Hemlock Cup. The Hemlock Cup (think Stanley Cup in ice hockey), is won on behalf of the school and for prominent display in the winning school's trophy case. 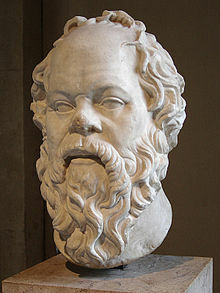 The Hemlock Cup is named for the vessel from which the Greek philosopher Socrates drank during his final hours alive. In addition to taking The Hemlock Cup, the team winners of the Ethics Bowl are given individual certificates as well as brief and fleeting local media attention and adulation. And, of course, they will have the honor of defending their title and a chance to retain The Hemlock Cup in their trophy case for the following year. Who are the Organizers of the Michigan High School Ethics Bowl? The Ann Arbor-based nonprofit, A2Ethics.org is the sponsoring organization for the Michigan High School Ethics Bowl. Founded in 2008, A2Ethics.org promotes a new kind of social involvement through ethics- related programs and inventive events. Current and past projects are eclectic and range from audio podcasts, such as the the popular Working Ethics and Michigan Ethics Economy series, to museum exhibits and a popular annual event known as The Big Ethical Question Slam. A2Ethics.org feels honored to be part of the high school ethics bowl network. We look forward to seeing you at the Bowl! Winners receive individual certificates, a school commendation and trophy, publicity in regional media, and the opportunity to defend their title the following year. And a chance to participate in the regional and national bowl. Team members - who hone their skills in research, analysis, debate, public speaking, improvisation, team building and cooperation. Teachers – who have an opportunity to network with students and faculty involved in the College Ethics Bowl Competition as well as colleagues from area high schools. Students from local universities – who serve as mentors and judges. High schools – that offer their students a challenging, brain-boosting extracurricular activity, for minimal cost and effort. The community as a whole - through an ethically-enriching event that brings together local professionals, teachers and students.